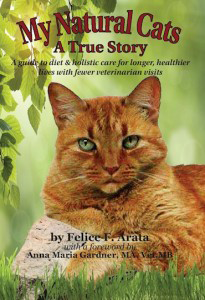 It would be my pleasure to do a little write up of our (Angela’s and my) experience of how you and your products (Raw diet kidney support recipe for cats premix, My Natural Cat) helped us. Again, thank you so very much for your hands on interest and guidance in helping me over the last four years with my little darling. You’re one special girl.